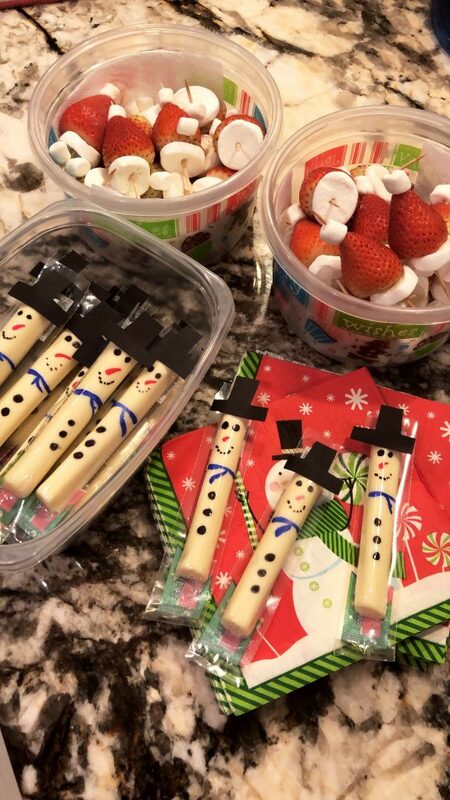 My little gal had to bring snack to school the other day and I wanted to her to bring something that was Christmas theme or related but was kinda healthy. 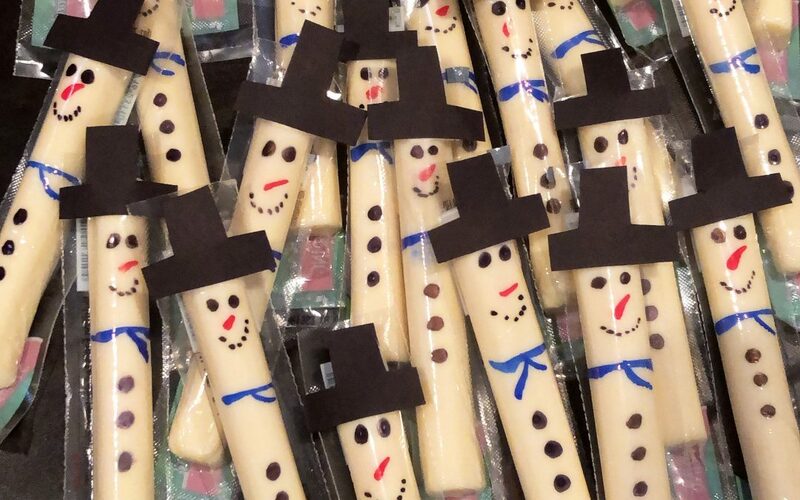 She loves string cheese and strawberries so I google some ideas and came up with SNOWMAN CHEESESTICK and SANTA HAT. Its so easy and you probably have all the materials at home. 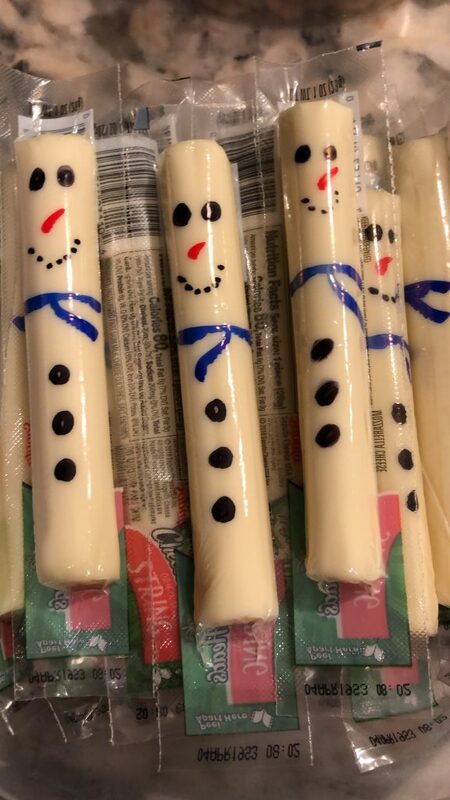 Make sure that the end where the cheese open is on the bottom. 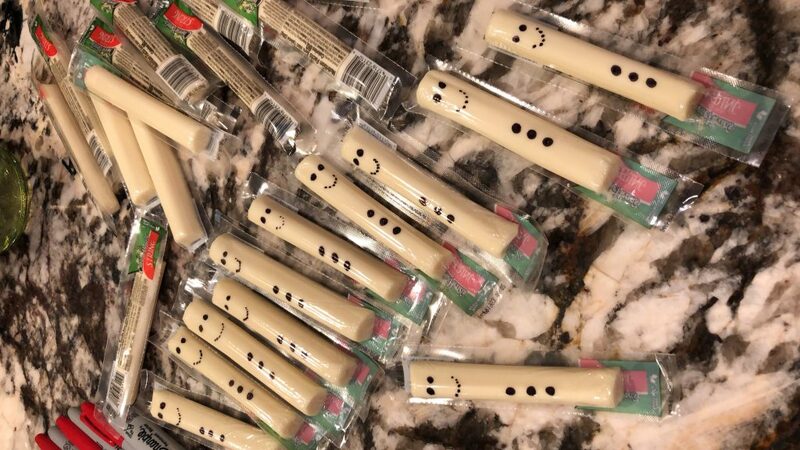 Taking a black marker…you dot the eyes and make a mouth …I made a smiley face. Next, dot the 3 buttons. Then taking a RED marker…make a little mark for the nose. I used a BLUE marker to make the scarf…but you can use any color you like. 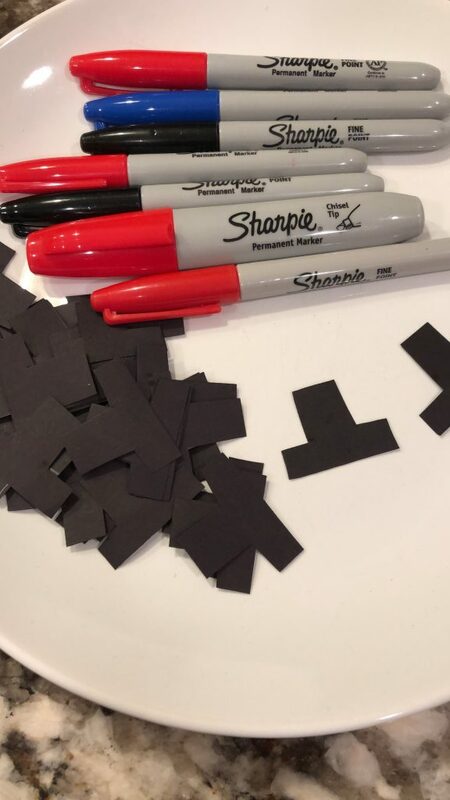 Taking a piece of BLACK construction paper…cut out a little TOP HAT. Honestly, you can cut any hat you LIKE. Then taking a little piece of clear tape and tape the hat onto the cheesestick . I hope your lil one ENJOY!! !